Professional Services - Loss Prevention System Inc.
We are proud to service such large retail accounts as The Home Depot, Barnes and Nobles, McDonalds, and FedEx Kinko’s. We provide them with national onsite emergency services, locksmith services, safe combination changes, install emergency exit devices with alarms, turnstiles and full key code management. LPS also does custom designed new access control systems, for card readers, fingerprint and retinal scanner access. Whatever your access control needs we have a solution for you. LPS has installed several Anti Vehicle Barriers for customers such as the United States Navy, United States Marines Corps, United States Marshalls, Anaheim Police Department to sports venues such as the Honda Center and Angels Stadium in Anaheim. From Bollards to Wedges to Drop Arms, with our experience of barrier installations you can be assured that your barriers will be installed correctly and will work properly, from day one. We stand behind our work and will honor the manufacturer’s warranty. Our commitment to our customer’s satisfaction is unparalleled, during the installation we are meticulous to help avoid any traffic issues and keep our work areas safe at all times. During the course of our install we continually update our customers of our progress to ensure them we are on time and on budget. Loss Prevention Systems, Inc. has a successful history performing Anti Vehicle Barrier Preventative Maintenance and Repair services to the U.S. Military and DoD. Our contributions to the U.S. Navy has ensured the continuous safety and security offered by effective preventative maintenance services. Accessibility to staff and a quick response to trouble tickets ensure minimal downtime of assets. We are acutely aware of the peripheral effects our work has on surrounding areas, and add security measures with traffic considerations as necessary while repair work is in process. In addition to maintenance; we procure, install, test, and commission all hardware to manufactures specifications. With our focus on preventative maintenance, regular inspections, and detailed documentation, we are uniquely qualified to provide the same high level of service to meet your requirements. LPS has designed and custom built many Crash Gates to meet our customer’s exact needs. – Our skilled AutoCAD Designers and Structural Engineers work with our customers to help them find the right solutions for their gate and fencing needs. We have designed sliding and swinging gates with and without electric openers. Along with our custom gates we have installed everything from chain link fencing to anti-climb high security fencing, protecting some of our countries most secure assets. Our team of qualified professionals has installing fencing down to an art form. Our assembly line process ensures a fast, efficient install with as little down time as possible. LPS offers a full line of waist high turnstiles, optical turnstiles, security turnstiles, full height turnstiles and pedestrian gates. All turnstiles and pedestrian gates can be intergraded with your current access control system, or we can custom design a new access control system for you. We also can provide you with ADA compliant turnstiles and gates. Performing general maintenance is a big part of keeping your turnstiles up and running. At LPS we have been installing and maintaining turnstiles for over 5 years. We know what it takes to keep your turnstiles up and running and insure your access control is always secure. 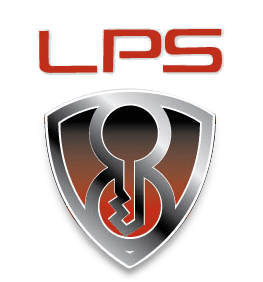 LPS has recently started our own security coating division to assist with blast mitigation. We have a patent pending product that is a spray on coating to protect buildings in potential blast zones helping to avoid shrapnel intrusion into the building structure as well as assisting in holding the building’s exterior structure together allowing people to get out safely. LPS can take security to a whole new level to protect your assets. Most security systems are reactive, meaning once a trespasser breaks in then the alarm will sound, phone calls and emails can be made after the fact. LPS wants to give you the upper hand with IP technology cameras intergraded into your security system. This can give you live feeds from anywhere in the world for monitoring, we can set up motion detection feeds that email or text your cell phone before a break in occurs allowing you to prepare or ward off your intruder. We can install and set up facial recognition cameras giving your security team information to help assess potential threats before they happen. LPS wants to make sure whatever you are protecting that we give our customers the tools to increase their odds. LPS has launched an exciting family of portable mobile command centers utilizing the latest cutting-edge-technology. Depending on your specific requirements you can choose from three levels of systems, each with increasingly more advanced technologies and capabilities. Our mobile command centers help Emergency Management, SWAT, Police, Fire, and Pandemic flu teams manage crisis and loss of communications by setting up in any SUV or parking lot. LPS works with several Prime Contractors to assist with Security Specific Trouble Tickets. We have a network of Security Professionals across the United States and can dispatch them on a moment’s notice to handle your emergency and nonemergency calls. Our teams of professionals have the knowledge and ability to handle most of your trouble tickets over the phone to reduce your costs, saving your company man hours and travel time. If the issue cannot be handled over the phone we can take it to the next level and dispatch a man on the ground immediately or make arrangements for one of your Techs or one of our Techs to handle the situation at a later time. We feel one of the most important aspects in handling your trouble tickets is reporting and communication. We can either log into your current trouble ticket system and make updates on our progress or provide you with easy to read spread sheets showing you our progress on each ticket and keeping totals on your costs. This gives you vital information and allows you to make decisions along the way. LPS specializes in security construction, installation and maintenance. We also have done many other construction projects such as paving parking lots, paint striping roads and parking lots. Small Arms shooting ranges maintenance, design and soil abatement.